Starting a blog is one of the best things you can do if you’re interested in earning money online in a way that’s fun, passive and highly rewarding. The lifestyle of a blogger is one that anybody can benefit from – even if you don’t consider yourself ‘technical’ or if you’re not sure you have anything to say. A lot of people will be reading this because they want to become a full-time blogger. It certainly is possible to earn enough money from blogging to quit your day job and when you do that, you’ll be practically a celebrity at the same time with your own followers hanging off of your every word. Better yet, you’ll earn money passively meaning that it will come in even while you’re sleeping. But you don’t necessarily have to set out with that aim. Running a blog can be a fantastic hobby to have on the side and one that can bring in a great side-income just to make life that bit easier. Even if you’re only earning $30 a week, that’s still $120 a month – more than enough to treat yourself to some nice things and just make life that bit easier. The first thing you’ll need if you’re going to build a website is hosting. Hosting means finding space on a server, which you can use to store your files. Servers are large computers used for storage that are constantly connected to the web. Each one has an address and when a browser looks up that address, it is shown the contents of the server. There are plenty of different hosting providers to choose from but one of the best is BlueHost, which is a widely used provider that offers a reliable service with all the extra features that can help you get the very most out of your package. 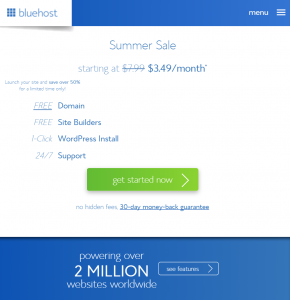 Check it out at www.bluehost.com and compare with other deals to make sure that you’re getting the right platform for you. One piece of advice though is to ideally look for a hosting package that has ‘CPanel’. We’ll learn what this is in a moment. Once you’ve chosen your host, you’re ready to move on to the next step. Now you have space to store your files on, the next thing you’re going to need is a URL. Often you’ll be asked to come up with a URL at the same time as buying your web space. The URL is of course the address that people are going to type in when they want to bring up your site. This is important because you need to make it as catchy, memorable and relevant to your niche as possible. If you don’t, then you’ll find marketing your site that much harder. Try to avoid using a domain name that is obviously designed for marketing purposes. ‘How-to-make-money-on-the-web-easily.com’ is not a good domain name because it doesn’t allow you to build a brand. It might help with SEO to begin with (more on that here) but in the long term it’s going to make it much harder to build a proper brand. The problem? A lot of the URLs you’ll want to use will already be taken, so it can end up as something of a trial-and-error process finding the right one! You will then also need to assign your domain to a folder on your server. This is where you’re actually going to store the files for that website and it makes sense to give this folder the same name as your actual domain. Every hosting provider will require you to do this differently so we won’t go into the detailed steps here – but rest assured it’s a simple process. Note that it’s also possible to have more than one domain for the same website, that way you can capture people who enter the domain incorrectly and prevent imitators from setting up similar websites. Of course this will normally incur a small additionally charge. Congratulations, you now own a website! If you go to the domain that you chose, you can now type that into your browser and visit the site you built. There will most likely be nothing but a sign saying it’s under construction and who the hosting provider is… but that’s still your website! Now you want to fill that site with content. At this point, you have several different options. We could talk at length about the different options available to you but for now we’ll look at the easiest and most important options. One simple way to build a website is to start adding HTML files. HTML files are documents that use a formatting code to tell the browser how to display text and images on the screen. These use <tags> to indicate things like new lines, embedded images and font changes. Drop any file called Index.html in your root domain and this will automatically be the first page shown when someone types in your URL to bring up your site! 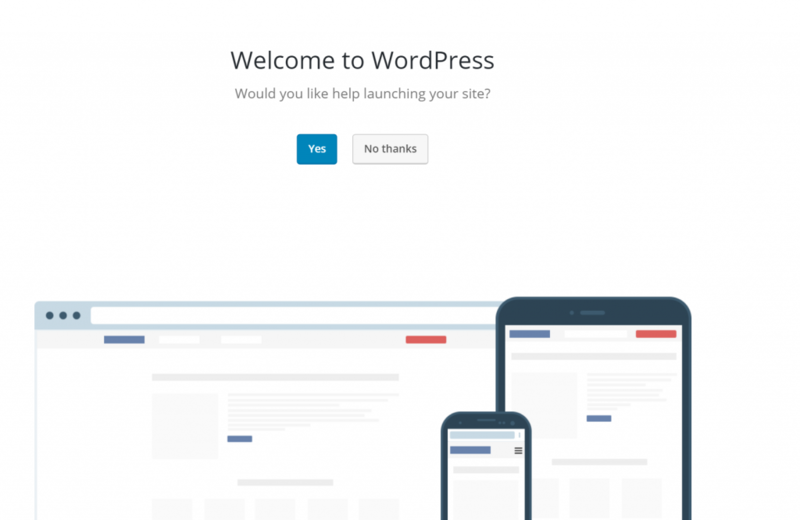 For this reason, we have the much easier option of creating a site with WordPress. WordPress is essentially a blogging platform but it’s open source and that means anyone can make copies of it and even edit it if they want. While we don’t need to get into the specifics, WordPress is built using a programming language called ‘PHP’ and this enables it to organize and edit the pages that make up your site. That means you can log into a basic control panel and then do things like creating new posts, editing or deleting old ones or changing your ‘theme’. WordPress is also what will handle all of the layout and formatting for your site. That means it will create menus for navigation and allow you to add things like widgets and images. Think of it like ‘scaffolding’ that holds a website together; but even that is highly customizable to the point where you can have an entire ‘ezine’ or just a single page both running entirely through WordPress. 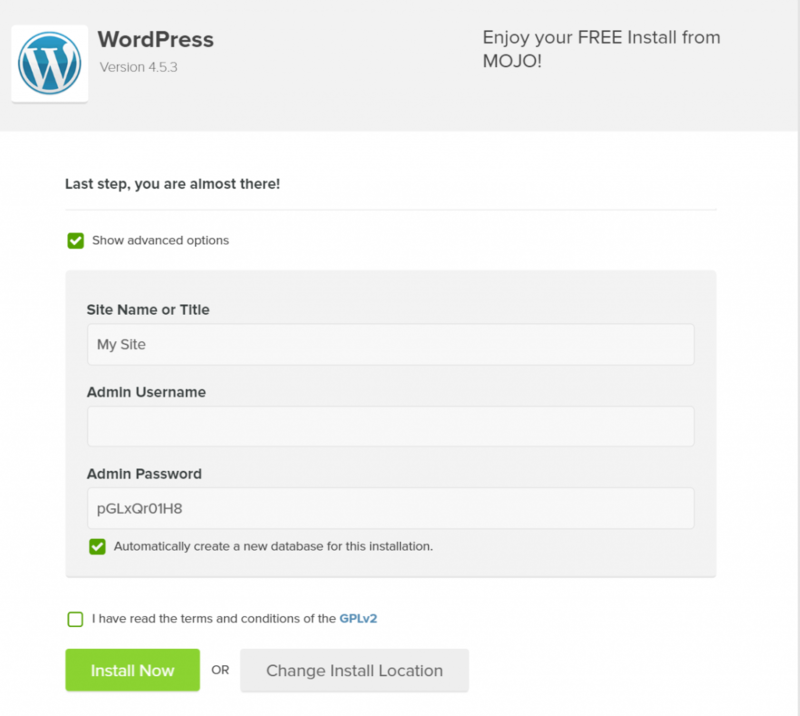 And the great news is that WordPress is incredibly easy to install. There are two methods and we’ll look into method two in another post. But for now, let’s focus on the easiest method that most bloggers will use. This is where having cPanel with your hosting account comes in handy. Go to Bluehost.com or the address of whichever hosting provider you’re using and then log in. You’ll now be sent to a control panel which will likely be the cPanel. This basically shows you a grid of tools that are already installed on the server and that you can use to manage your own files. They include things like file managers, email clients and SEO tools. If you are an observant type then you may have already spotted what we’re looking for: the button that says ‘Install WordPress’. 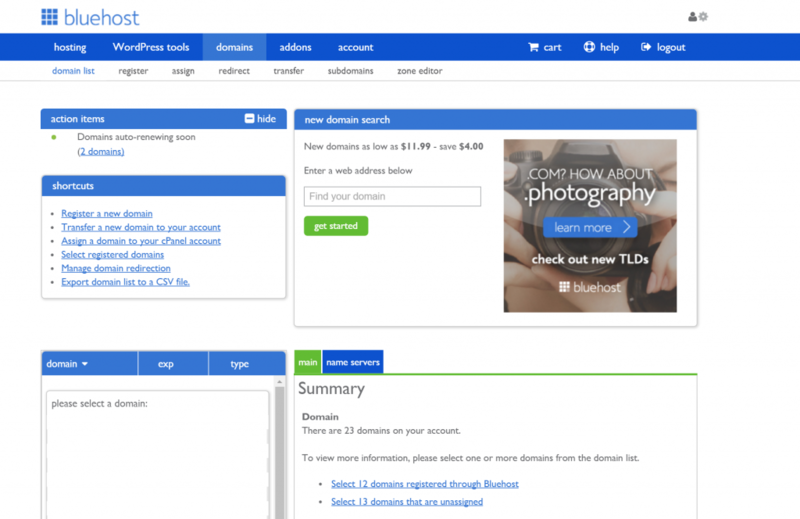 If you aren’t using BlueHost, then you should have something similar though it may look a little different. Even if it isn’t the official cPanel tool, then you may still get a good selection of controls to help with managing your site. 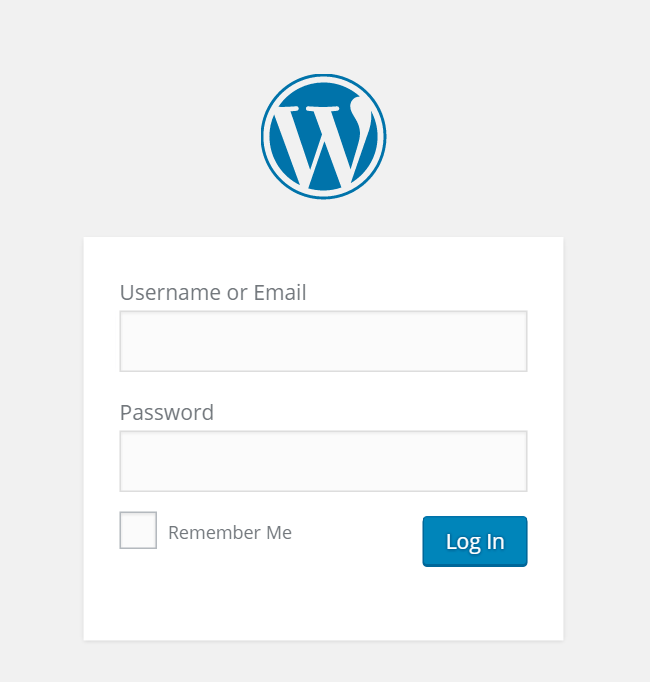 Click on this button and you will automatically begin to install WordPress, though it will take you through a couple of steps along the way. 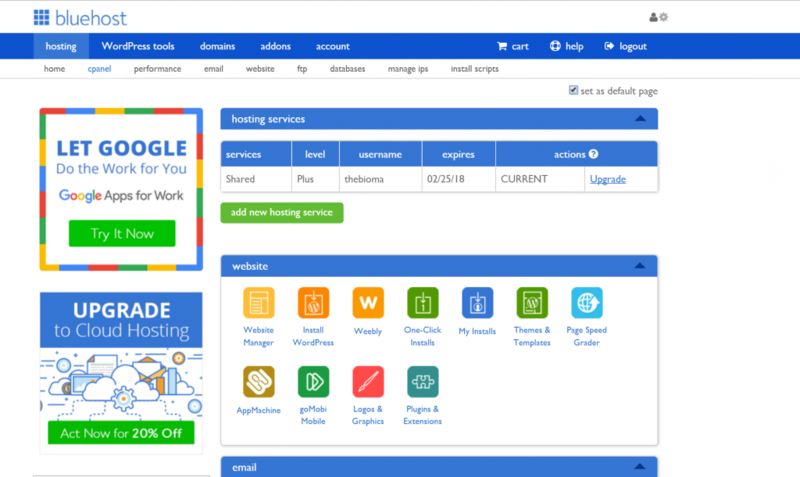 The first thing you’ll see is the option to either build your website yourself, or to let BlueHost do it for you for a rather princely sum. Do NOT ask for guidance: when you see how ridiculously simple this is you’ll be aghast that anyone would pay that money. Quick tip at this point: make sure that you click to show the advanced options! Calling them such is in fact even a little misleading as these are pretty basic requirements you’re going to want to check before you get started. What if I Don’t Have cPanel? If you don’t have cPanel, then the basic process you’ll need to go through involves downloading the files that make up WordPress individually and then placing them on your server. You’ll then point your browser at those files and it will walk you through the installation. Now you’ve done that, you can head back to your domain name in the browser and you’ll find you have an empty website waiting for you. 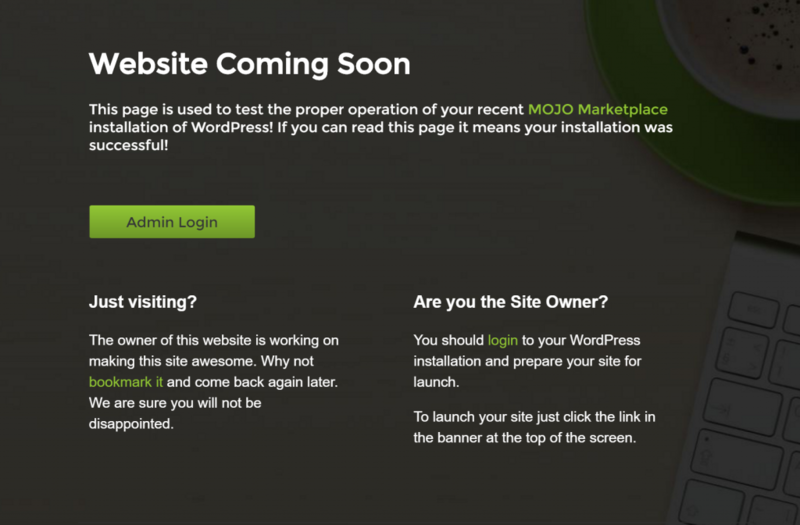 It’s a bit different now though and it will actually tell you that you’ve successfully installed your new WordPress site! Get used to this page, you’re going to be seeing a lot of it! Once you’re logged in, you’ll see that admin panel for the first time and this is where you’ll be able to create new pages and posts or change your theme. First though, you’ll be greeted with a welcome page and the option to get some help setting up. You can feel free to go ahead and decline at this point, as it’s actually pretty straightforward. And guess what? As soon as you click that button, you can go back to your domain and you’ll see that you now have a very basic, empty blog with your title! 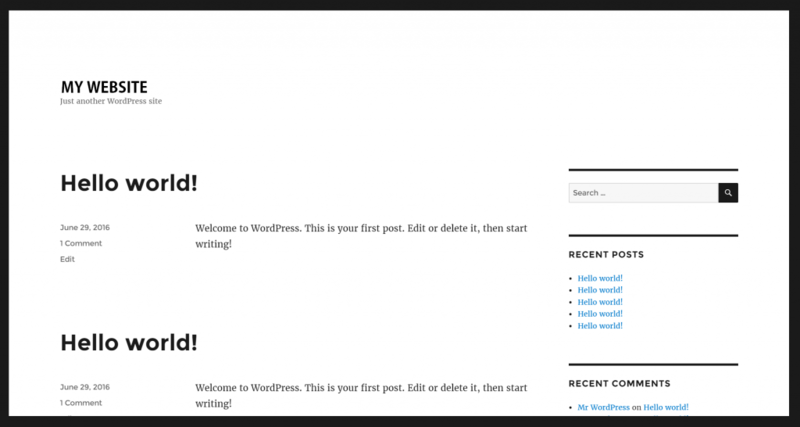 It will say ‘Just another WordPress site’ underneath the title and you’ll have some default ‘Hello world!’ posts there. But as we’ll see in other lessons, these are very easy indeed to edit. To create new posts you can simply click ‘new post’ and to change your theme you just need to go to ‘appearance’. For now though, that’s as much as we’re going to do. You now have your own blog up and running – albeit an empty one – and now the sky is the limit!